Top seeds England completed their fourth successive European Team Championship double in Riccione, Italy, with victories over France. But both the men and women were made to battle for their respective titles. Alison Waters sealed a 2-1 victory in the women's event, while the men gained a 3-0 success. 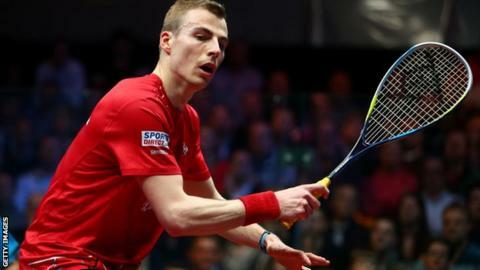 Nick Matthew tweeted: "You cannot underestimate how difficult a title this is to win. France put up a great fight in both finals." Matthew beat world number one Greg Gaultier when he accidentally hit the Frenchman on the calf and forced him to retire. Matthew said: "It was unfortunate for it to end like it did." James Willstrop and Peter Barker were the other winners for the men. Alison Waters' success came after Camille Serme's win over England's world champion Laura Massaro had cancelled out Sarah-Jane Perry's win in the opening rubber. France were the beaten finalists in last year's event in Amsterdam, Holland.